Peter Armstrong, founder and chief executive of Armstrong Group, the owner and operator of Rocky Mountaineer, will be inducted into the Business Laureates of British Columbia Hall of Fame. The honour was created by Junior Achievement British Columbia in 2005 to honour outstanding BC business leaders whose efforts have shaped the province and country. The Hall of Fame showcases the positive impact the Laureates have had, through their vision, leadership, integrity and legacy, to inspire BC’s youth. “Peter is a gifted leader, generous citizen, and thoughtful friend who dreams big and works tirelessly to bring those dreams into reality. “He grew a small, struggling train company into a best-in-class tourism experience that continues to be listed among the top travel experiences in the world,” said John Furlong, chairman, Rocky Mountaineer. “He has a generous spirit of contribution for those he works with, but also to the community as a whole. “There has hardly been a major tourism-building event in Vancouver over the past 30 years that he wasn’t involved in. “The city – and country as a whole – is better thanks to his leadership. 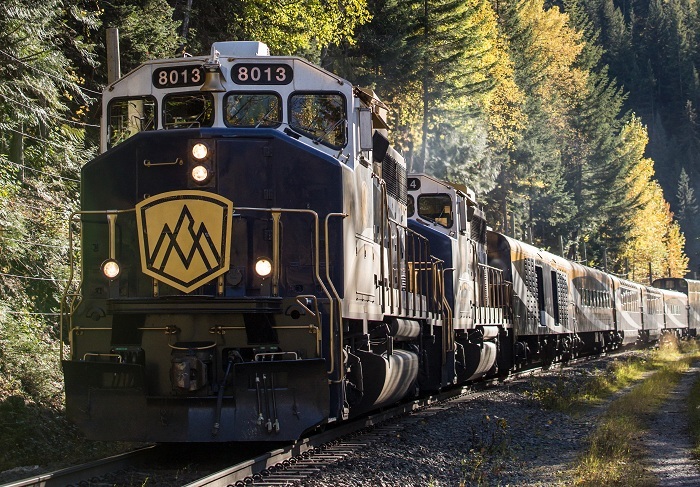 Since establishing Rocky Mountaineer in 1990, Armstrong has evolved the business from a small enterprise into a world-leading tourism experience. To date, Rocky Mountaineer has welcomed more than two million guests from around the world to travel through the Canadian Rockies onboard its luxury trains. “Peter is a true entrepreneur, a highly successful business person, and a dedicated community builder,” said Vancouver businessman Jim Pattison. Armstrong joins a prestigious group of more than 60 business leaders who have been inducted into the Business Laureates of British Columbia Hall of Fame. The induction ceremony will be held on March 8th, 2018, in Vancouver. “This is an incredible honour to be recognised among some of the greatest business minds in British Columbia’s history. “My accomplishments in business have been driven by teamwork, and this is a testament to the accomplished, motivated and relentless colleagues and mentors I have had the privilege of working with over the past three decades,” explained Armstrong. Armstrong has served on several tourism industry, community and public company boards. Currently, he serves as a trustee of the Vancouver Police Foundation and on the Board of P3 Canada. He has been involved in numerous notable initiatives that contributed to the growth of BC’s tourism industry, including Expo 86, the 2010 Olympic & Paralympic Winter Games, the expansion of the Vancouver Convention Centre, and moving the Canadian Tourism Commission from Ottawa to Vancouver. Rocky Mountaineer is the world’s largest privately-owned luxury tourist train and, since 1990, has welcomed more than two million guests to inhale the mountain air and let nature take their breath away. It has previously been recognised with a number of accolades at the World Travel Awards.